Financial System is a mechanism that works for investors and people who want finance. 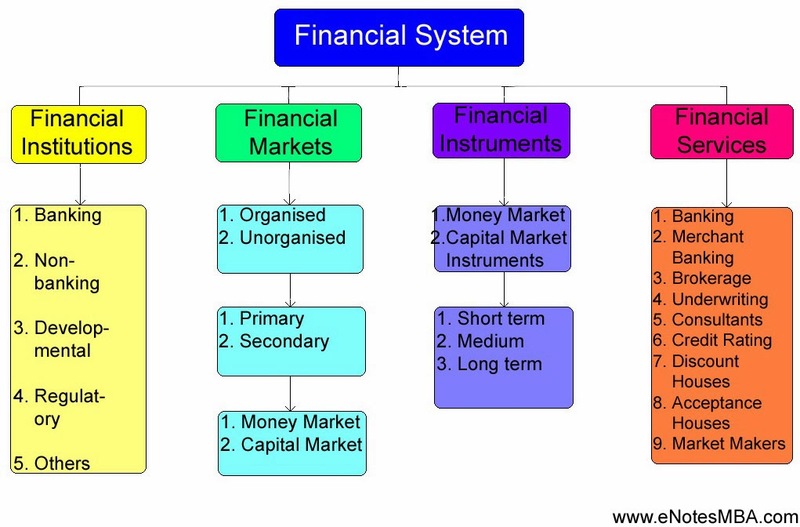 Financial system is an interaction of various intermediaries, market instruments, policy makers, and various regulations to aid the flow of savings from savers to investors and managing the proper functioning of the system. According to Gurusamy financial system is "a set of complex and closely interconnected financial institutions, markets, instruments, services, practises, and transactions." Slide 2. Objective of this PPT To understand the working and organization of Indian Financial System. Financial system is a mechanism that works for investors and people who want finance. It is an interaction of various intermediaries, market instruments, policy makers, and various regulations to aid the flow of savings from savers to investors and managing the proper functioning of the system. Prof Sayers- money market is that area of market that deals in short term capital. Focuses on providing means by which government and institutions are able to rapidly adjust their actual liquidity position. Treasury bills- meeting short term deficits of govt. Market where long term and medium term financial instruments are traded. Slide 10. Instruments of Capital Market Cont.